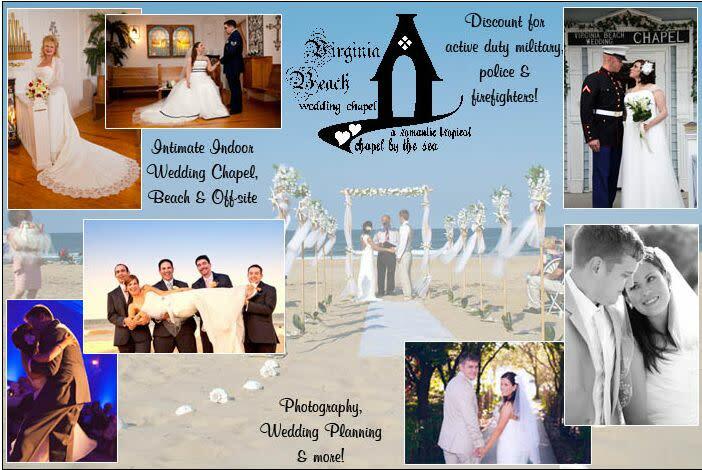 Get married or renew your vows at the Virginia Beach Wedding Chapel! An amazing value and experience for couples who seek a romantic and personal ceremony, where your venue, minister, and photography team are all inclusive! 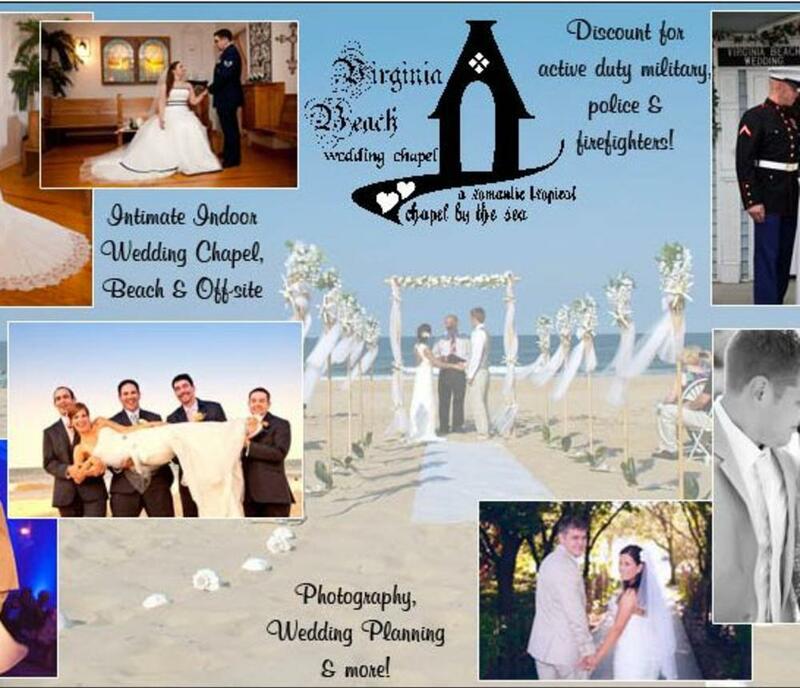 Complimentary dressing suites for the Bride & Groom, music & online web cam are included in most packages! Photography by Victoria includes Maddie behind the lense as Victoria's second shooter! We can also design your perfect wedding flowers when you need a bride's bouquet and groom's boutonniere.Rev. Bruce Begault will perform your non-denominational ceremony, and welcomes your cultural rituals such as "Jumping the Broom". Chapel capacity 45 guests, just 5 minutes to the oceanfront. Operating Hours: Weddings are performed 7 days a week - by appointment from 10 until 630. The office phones are closed after 5pm and on weekends.